Even after the March 11th, 2011 Tsunami that hit Japan, residents and business owners are still feeling the effects from this horrendous natural disaster. 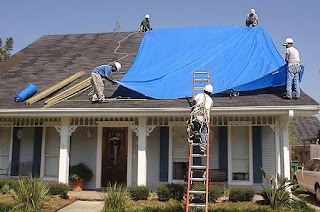 The water damage alone has made many dependent on tarps to keep their shelters dry and safe. They are helping people keep their valuable and their properties from further damage. Residents that are not able to enter their homes are even using tarps as temporary shelters. This is mainly because they are durable and can withstand the elements. They make excellent shelters and even help against chemical spills or radiation infiltrations. There are numerous reports even now in the news of tarp suppliers sending out their product to victims of similar natural disasters. They are being utilized and actually saving lives. This is even happening in the United States for the flood victims and other areas around the world that have been hit by such tragedies. As you can guess, getting ready for disasters is a must. Once tragedy hits there may not be enough supplies for your area for days or even weeks. Having supply items such as poly tarps can great enhance your survival as well as keep your property safe and secured. You never know, you may end up needing to make a temporary shelter or a poly tarp for you and your family. If that happens, you will want the supplies to do so on hand. FEMA and the American Red Cross even recommend that you have appropriate emergency supplies on hand. They should be kept in plastic containers in case of flooding. Having a disaster kit that includes at least one tarp is not only smart but it is recommended. Being prepared just makes sense. Since March 11th the world has recognized a real need for disaster preparedness. It just is not worth getting caught without the necessary tools for survival.